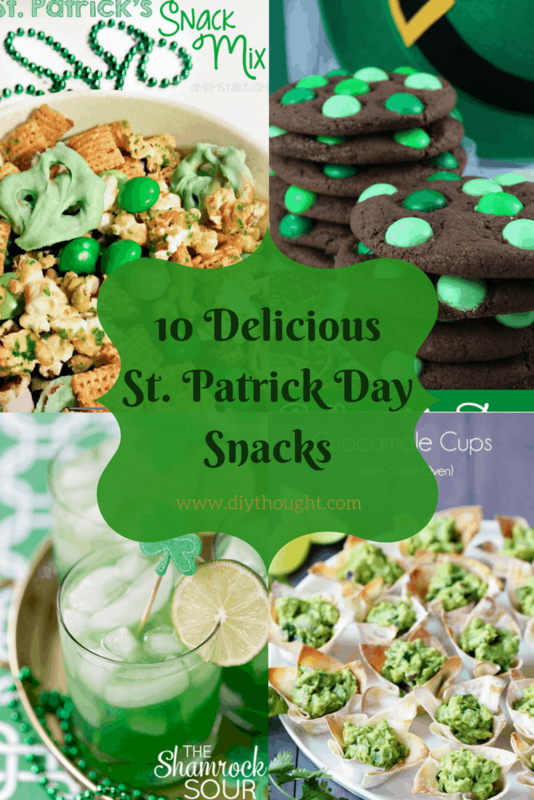 Create an amazing St. Patricks day party with these 10 delicious St. Patrick’s day snacks. Provide the food, drinks and decorate in green and the fun will follow! St. Patrick’s Day occurs annually on March 17 in observance of the death of St. Patrick, the patron saint of Ireland. What began as a religious feast day in the 17th century has evolved into festivals and parties celebrating Irish culture. 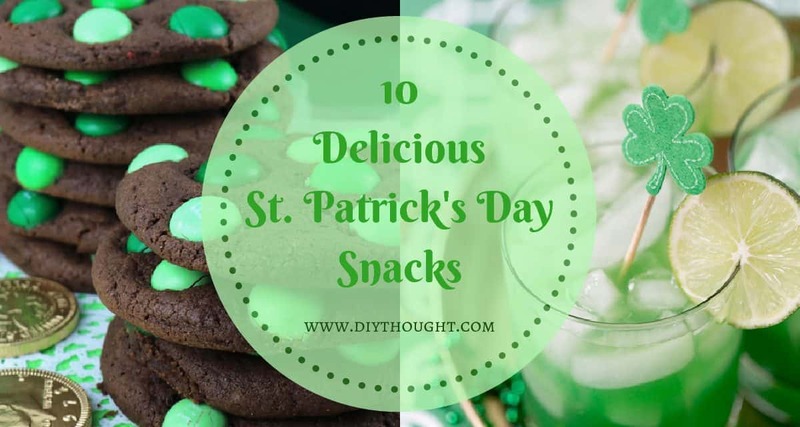 We have 10 delicious St. Patrick’s Day snacks perfect for all types of St. Patrick’s Day celebrations. It doesn’t get much easier than this tasty snack mix. 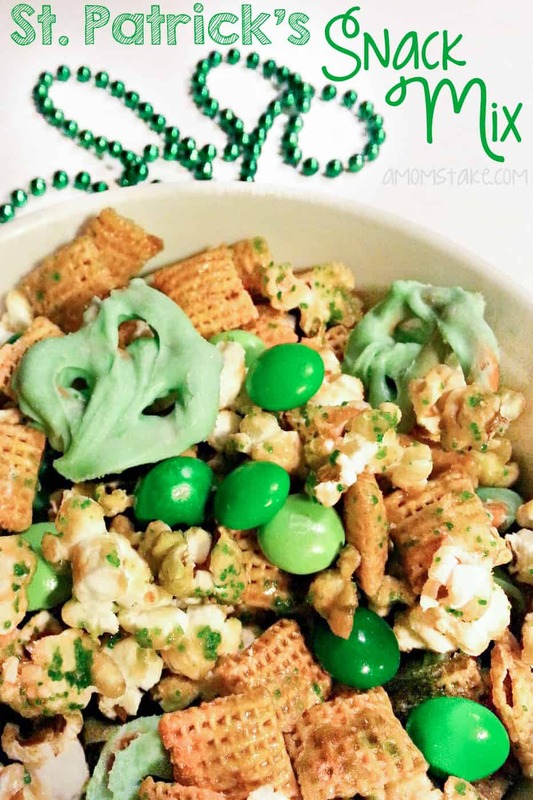 Filled with treats like popcorn and M&M’s this is one snack mix that will delight all party goers. Click here to get the recipe. They are chewy and chocolatey and covered in green Mini M&M’s, making them perfect for St. Patrick’s Day. Click here to get the recipe. Sweet and salty is a taste sensation. 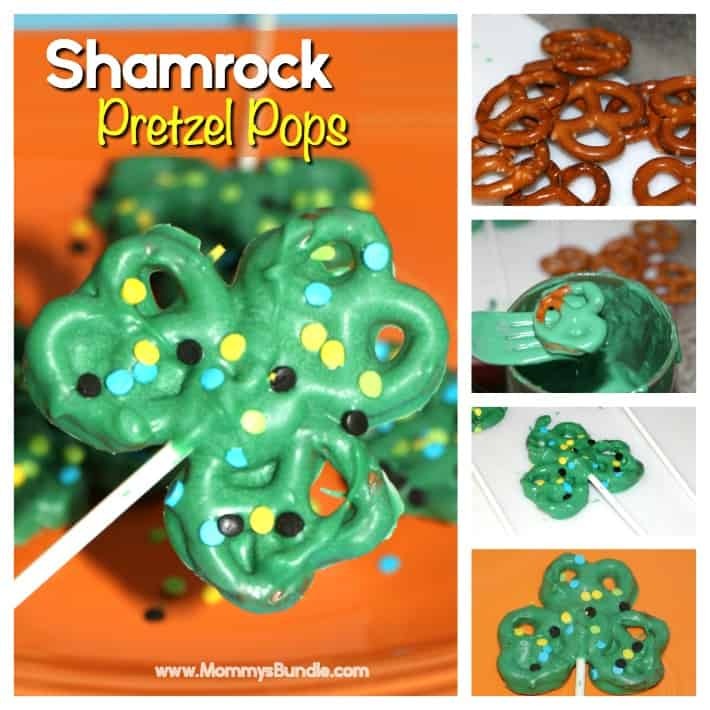 Shamrock pretzel pops are a fun addition to all St. Patricks Day parties. Follow this link to find out more. 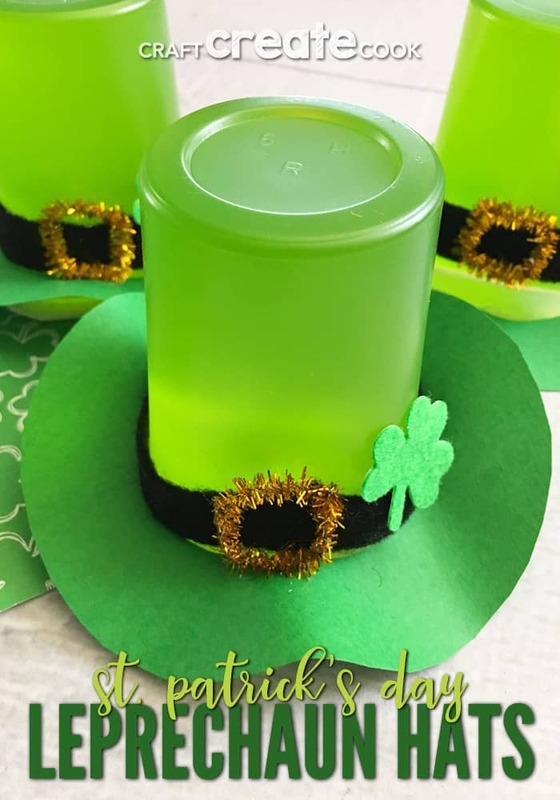 Turn your favorite green jello into a cute leprechaun hat. This tutorial will show you how. 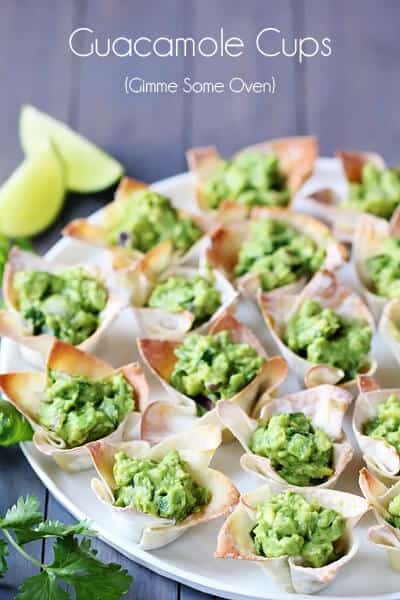 Guacamole cups are a tasty savory treat. Easy to make and the perfect bite-size portion. Click here to find out more. 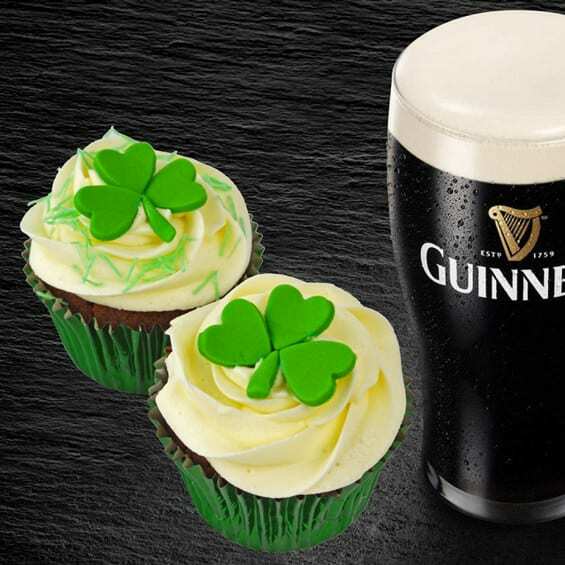 Dark and delicious, these Guinness Chocolate Cupcakes have a rich and full-bodied flavor for fans of the famous stout. Get the recipe here. It doesn’t get much better than pizza at a party and this one is perfect for St. Patrick’s day pizza. 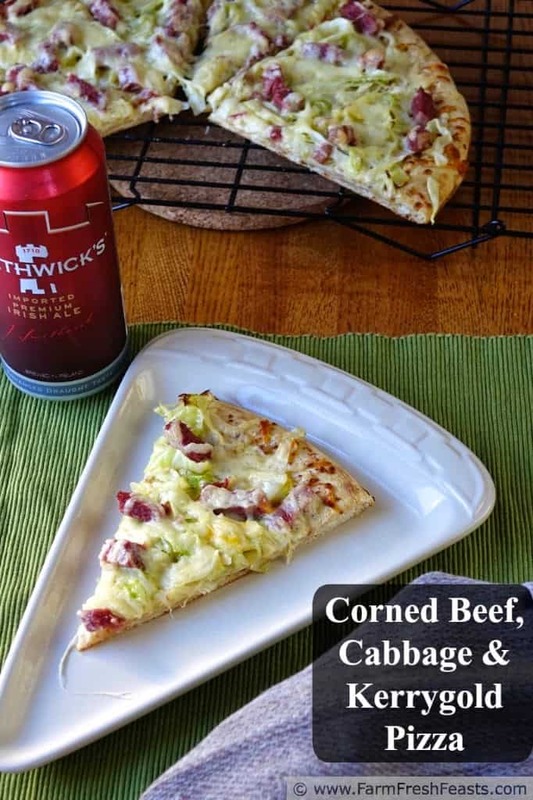 Toppings include corned beef & cabbage smothered with creamy Irish cheese, yum! Click here to get the full recipe. 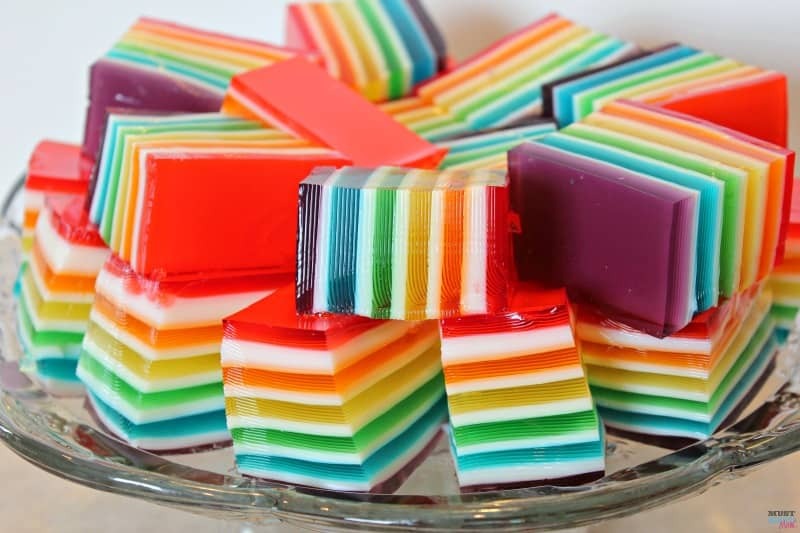 Create some wow factor with these rainbow jello cubes. Follow this link to find more awesome rainbow foods. Sausage rolls are always a party favorite. 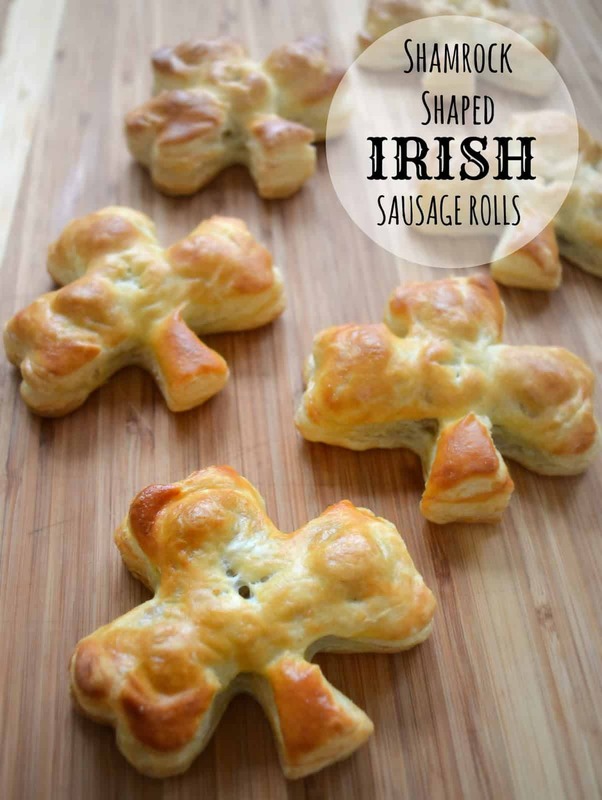 These shamrock shaped sausage rolls consist of hand-blended Irish sausage enveloped by buttery, flaky puff pastry and are super yummy! Click here to get the recipe. 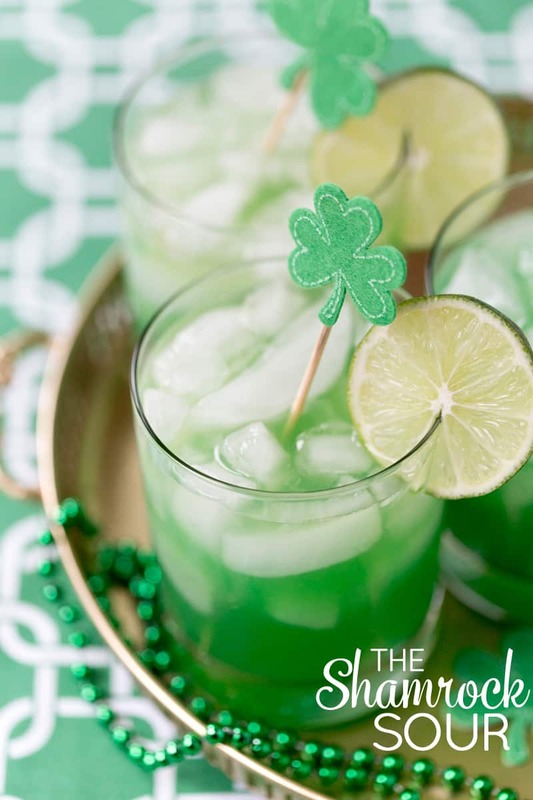 Every party needs a signature drink and the shamrock sour will fit the bill perfectly. Made with lime, lemon and whiskey and with an amazing sweet/ sour flavor. Click here to find out more.